Francisco Javier Cáceres is currently the General Manager of INEUSTAR, the first European private association of industrial suppliers for components and systems for Large Scientific Research Facilities. He is an international senior consultant in the field of innovation and advises on advanced programmes practical implementation. He has been specially involved in fluid dynamics, polymers, electronics, telecoms and big science sectors. For more than 15 years Javier was the Product Manager at IESA; for 16 years, the General Manager of GAIA, the telecoms cluster; General Manager of a telecoms Mexican company and Corporate Director of Innovation and Institutional Affairs at one of the Spanish leading electronic companies. He is also founder of the Spanish Technology Platform for Science Industry, Induciencia and co-founder and contributor to several think-tanks devoted to matters such as social innovation, promotion of start-ups, industrial leadership and similar subjects. 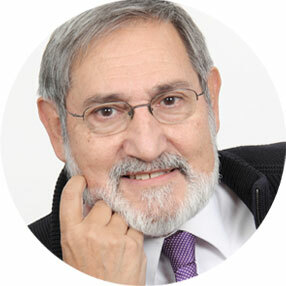 With experience in both institutional and private organisations in different countries, he was distinguished with the Félix Zulueta prize for best professional career in the Basque Country and was instrumental in winning the coveted Prince Felipe national prize for innovation in Spain.